Ready to get your art house on? Because I’ve got a thriller from Neil Jordan (The Crying Game) that’ll make thriller and artsy fans happy. Synopsis! 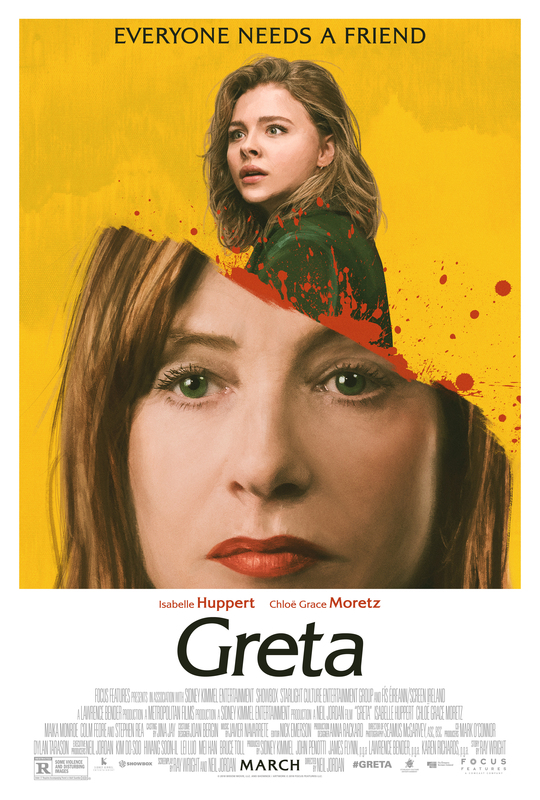 GRETA is a suspense thriller from Academy Award®-winning director Neil Jordan, staring Chloë Grace Moretz as Frances, a naïve young woman trying to make it on her own in New York City and Isabelle Huppert, as Greta, an eccentric French piano teacher with an aching loneliness. The two begin an unlikely friendship when Frances finds Greta’s purse on a subway and returns it to her. What: ADMIT TWO passes for the Baltimore screening of Greta! REMEMBER – SEATING FOR SCREENINGS ARE FIRST COME FIRST SERVED AND NOT GUARANTEED. SO GET THERE EARLY TO GET YOURSELF A SEAT. 3 Responses to Baltimore Screening Pass-palooza: “Greta”!